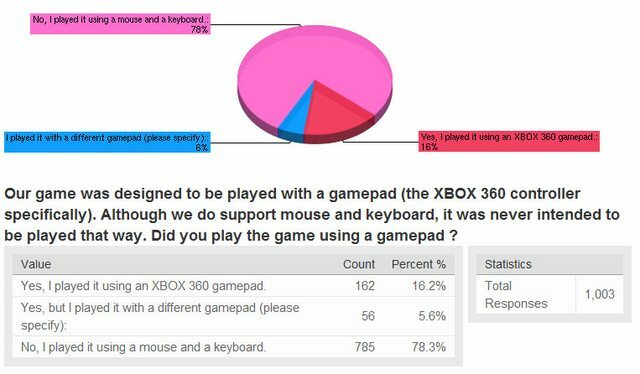 Only 22% of players played with gamepads! This is pretty surprising to me. Our game is targeting the use of a gamepad, but it looks like we need to include solid keyboard+mouse support as well!